Teeth Whitening is the easiest and fastest way to whiten your teeth, brighten up your smile and give you that boost of confidence! A personalized whitening program can be specifically designed just for you! Whitening works well on natural tooth enamel to lift discolourations, such as from coffee, tea and tobacco. However, is not effective on fillings, crowns, bridges, veneers or dentures. If your are considering changing any discoloured or failing anterior restorations, teeth whitening could be considered prior. Our dental professionals with provide you with the specific care and guidance to help you choose the whitening option to achieve your desired brighter smile! Customized Whitening kits are dispensed in our office under the supervision of your dentist, along with customized mouth trays for the whitening gel. Customized mouth trays, which look like a thin transparent mouth guard, are made from impressions of your mouth. The trays are filled with a whitening gel in the comfort of your home. This gel has properties that allow it to stay in contact with the teeth over a long period of time, without dissolving in the mouth. Whitestrips can be purchased over the counter at the pharmacy or professional strength Whitestrips can be purchased at our office. 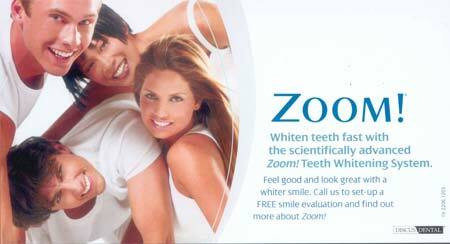 This fast in-office whitening process can be done in one visit at Dentistry In Bolton!!! We perform the treatment for you while you relax in our comfortable dental chairs while watching TV or listening to music. Pre-treatment tooth shades are taken prior to treatment to monitor performance. A protective paint on shield is placed over the gums to isolate the teeth and protect the gums from the whitening gel solution. This gel is applied on the teeth and allowed to penetrate the enamel to lift discolourations. The treatment is performed under the supervison of your dentist.